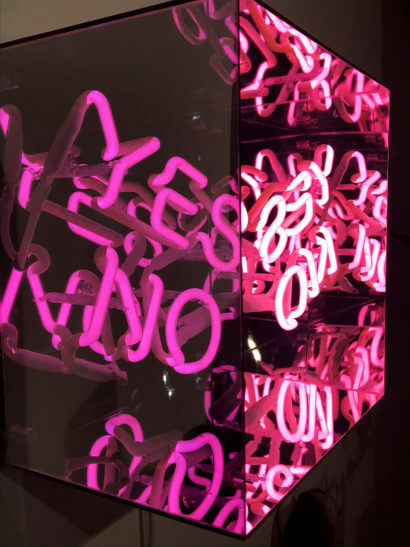 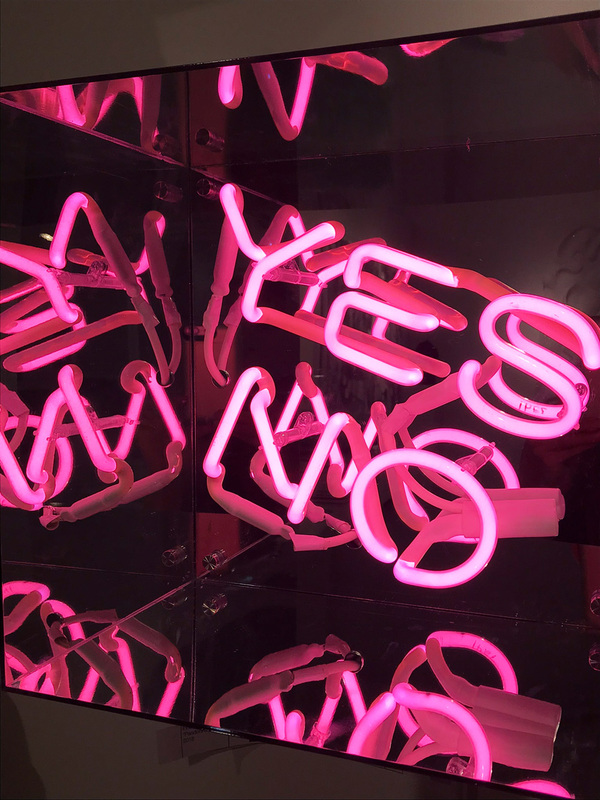 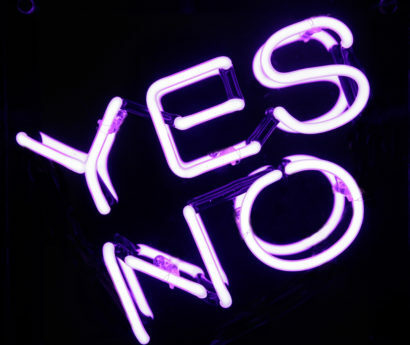 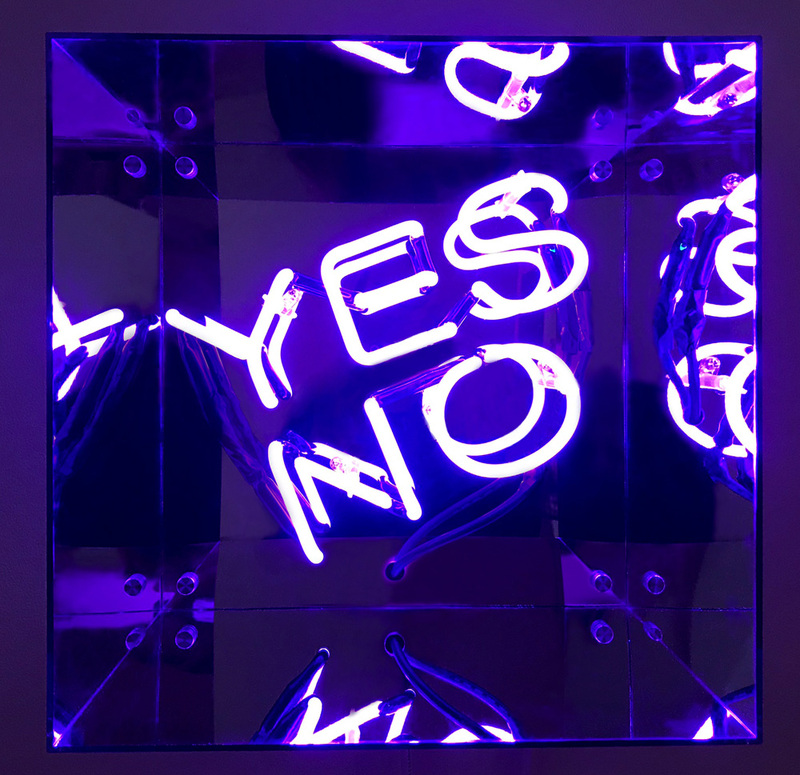 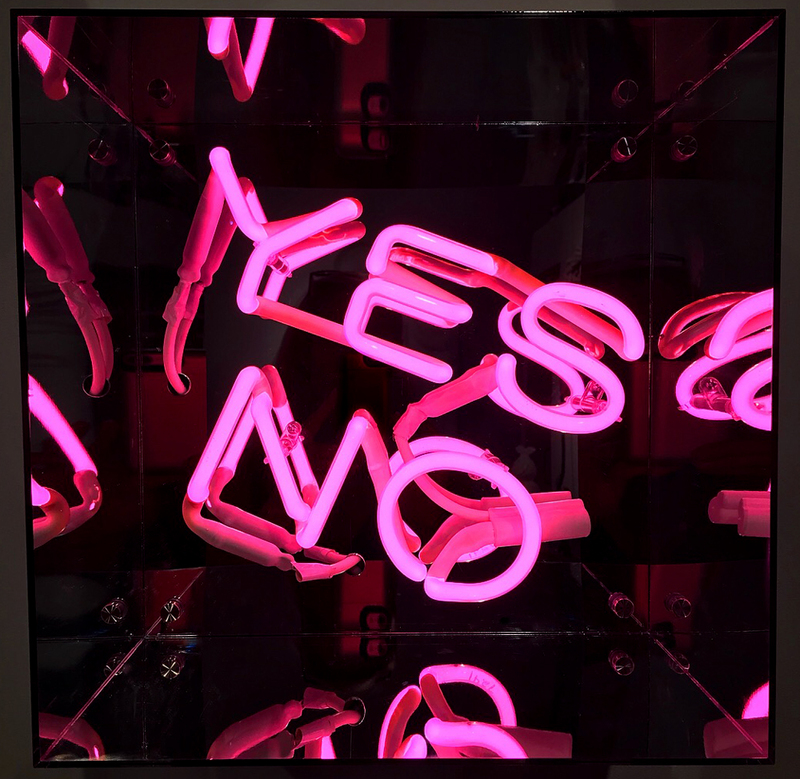 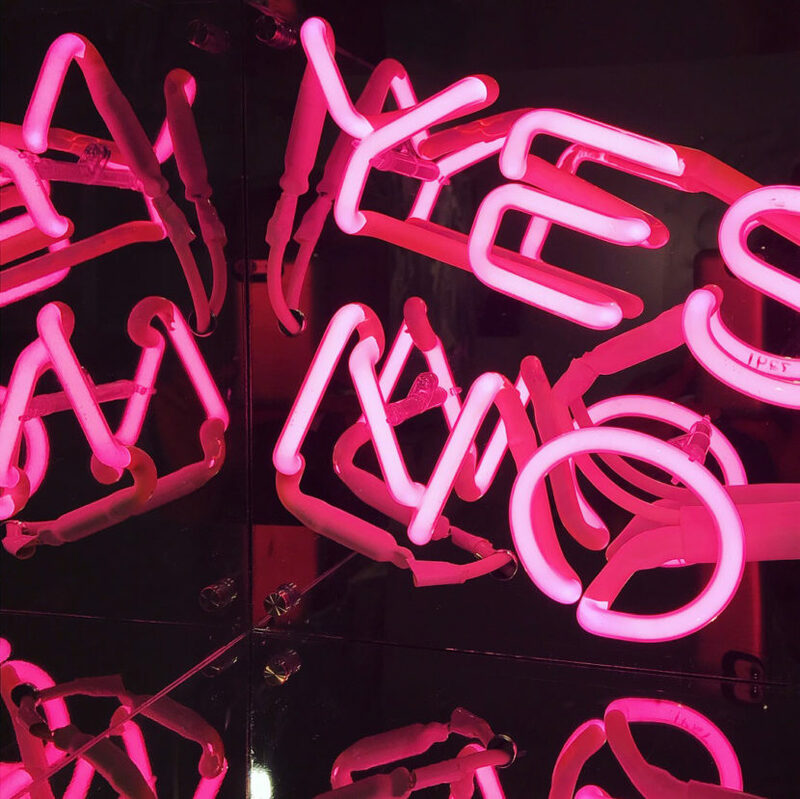 “Pandora’s Box” features the ultimate question “Yes or No,” and is the most recent edition of my “Consent” series of neon sculptures. 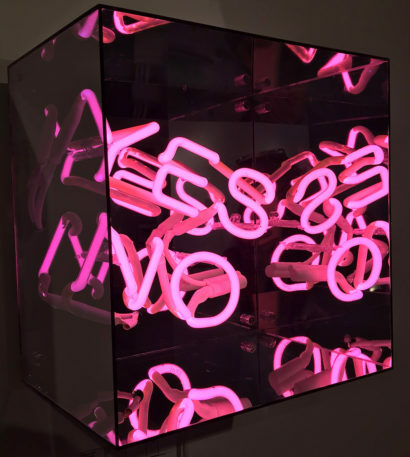 The glass neon letters spelling out “YES” and “NO” are mounted into a double mirrored cube, which is transparent on all sides, and mounts to a wall. The sculpture, created in 2018, premiered at “Defining Form” exhibit at The Untitled Space and will be featured in the Artwalk NY 2018 Benefit Exhibit and Auction. 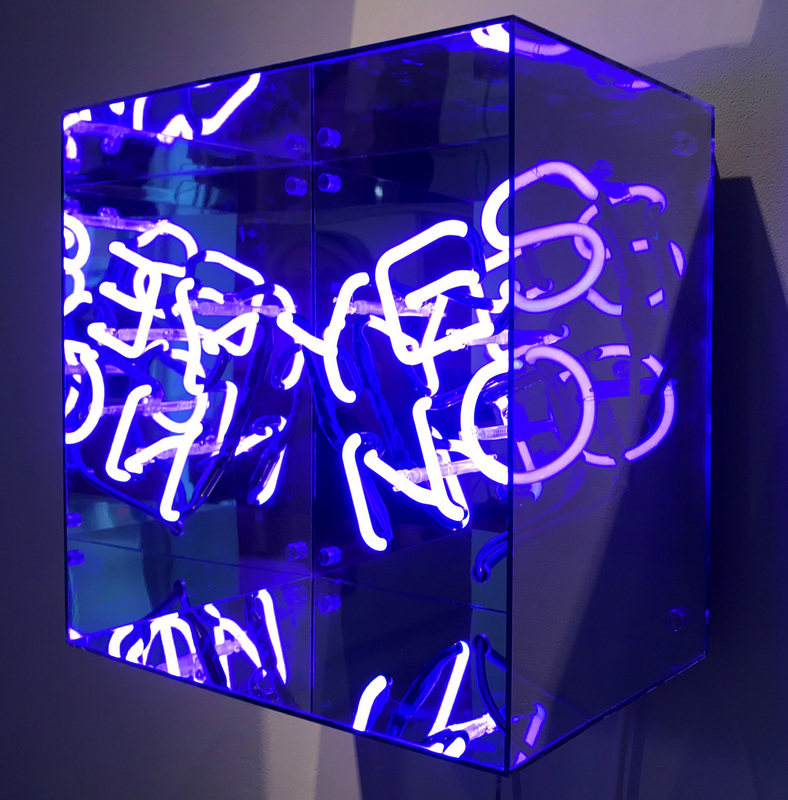 It is available as a limited edition in both pink and violet.